This would depend on what aspect of Self you are referring. For example, where one may see the human persona as himself or herself in order to construct a biography, such a thing may represent something completely different for another. For one who knows more about their spirit and ancestry than they know of human state would not seek to speak of themselves as physical, except within the circumstance that enables common association and interaction with another. Let us look at both aspects of who I am to cover your question more fully. Firstly, the name Spirit Guide Sparrow represents a fragmented persona of my spirit. This is, it is a persona, for it is a role forged for a very specific purpose; to interact and create familiarity and association with those in human form. I am of course, and have been for a long time, a spirit guide within many different dimensions associated with the spirit world. I have worked as a spirit guide to those on many different planets, some as solid as the Earth, some as etheric in substance as the spirit world itself. Not all planets have the density of matter as Earth does, or utilise the same universal laws and are of another universe altogether. I have a long history of this. It is this persona, or title of reference I use to attach a sense of familiarity and understanding of my purpose for others to relate to. It is not one produced from ego - yet in a sense it is, for it is created out of desire from the identity of Self. You cannot exist as I, and not have an ego, for ego produces personality and desire. I could not call myself a spirit guide without a personality, therefore it is derived from ego. Ego derives from emotion, and emotion is beautiful. My actual name, which I will not print here, since it does not originate from any human language, is the actual name of my spirit identity. Though I go by the name of Sparrow for your association, I am actually known by this other name within my soul group of whom I represent. This group of which I am a part is called the Asceleottyi (pronounced a-sell-lee-ot). Our group primarily consists of beings from other parts of the cosmos, from other dimensions and other universal dynamics. If you meet me, or us in the spirit world, we are unlikely to appear human, for our affections lie in a different line of ancestry. I have provided a meditation to connect with us and our energy upon my Meditation Compendium. My images painted within these pages should stimulate ideas of how we may be presented. As for what I do as this identity, if you like, as part of this group, is engage contact with many, many different species, in my different realities and observe, collate and collect information and knowledge and process this information into other formats of understanding which other people, other beings, may comprehend and understand. This information, awareness and perceptions I provide for others assists them to gain access to more of their own potential. While in human form this information will be presented in the form of images, feelings, healings, music and words. It will be translated through my wisdom and my love. So when you observe me writing the things I do, what I am really doing is accessing this information and attempting to present it to you in a language which, for me, is very restricted and prone to misinterpretation. This is because English words carry their own meanings within each individual, and thus, my words are only translated as one desires them to be. I also have other roles and perform other duties of service, which are not associated with human beings. Now in terms of the physical side of the coin, in whichever way you wish to relate to me on, I have lived a pretty common life symmetry to anyone else. This is to say, I had quite a challenging childhood. It was very difficult to be different, and I spent much of my time sobbing and projecting my rage into the stars from whence I came. So infuriating this was, so painful, and so alone I was, that I was brought to take my own life, simply to join with my beautiful spirit which I felt so separated from at the time. Though I did not die, for death could not touch me. What I was left with was stillness and silence of mind, of heart and soul. All questions became irrelevant. All desires became inconsequential. All fears became illusive. I lost my persona of who I was, for it was no longer important. Here then followed a clarity of mind, a peace of heart, and a union of soul and spirit that was to propel me into dimensions of awareness, wisdom and profound love I had never anticipated. From there till the many years that followed questions that arose became answered by themselves. Till a point came when no more questions could be formed, for so swiftly did such answers come that questions were no longer necessary. This was the act of be-ing that which I knew. Knowingness comes to those who no longer question, but simply allow life to speak for itself, on all matters, within all things. What Is Your Role As A Spirit Guide? It is important to remember, all of us see and experience things the way we so choose. Although the original source truth is always the same, how we each choose to express it is our own personal journey. My own words should be disbelieved and rejected from start to finish, unless... they resonate true for you and provoke and empower your own inner-knowing. My role is one of variety and change. The appointment of a life-guide is both of privilege and of challenge. It is not for everyone, yet everyone can become one. Those who demonstrate the capacity to comprehend the human condition and have mastered to a degree a level of competence are able to be guides. Those who demonstrate and see through clear eyes of compassion are able to be guides. Those who are drawn to the fulfilment of service to others are able to be guides. Those who have developed an understanding of responsibility and commitment are able to be guides. Those who are able to stand amidst chaos and confusion with a steady illuminating flame can be guides. 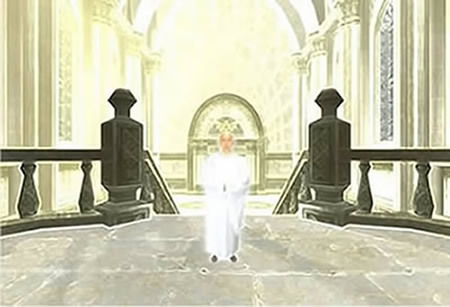 To a human incarnate, the discarnate spirit guide is required to be the light bearer, the anchor, the watchman, the facilitator, the pillar of strength and support, the lifeline, the companion, the guiding voice, the ambassador of support, the gentle nudge, the coal upon the fire of passion, the hand of comfort, the intuitive and inspirational soul supplement, the caretaker of your soul desires and innermost choices. The role of the discarnate spirit guide to the incarnate is not to be a teacher. It is not to be a problem solver. It is not to be a position of power or authority. It is not to be a judgemental voice or a hand of restraint. It is not to tell the incarnate what to do or how to do it. It is not to interfere with the free will of the incarnate. It is not to test the incarnate or determine what is best for them. It is not to impose their own will or interfere with the mistakes or choices of the incarnate. The role of the soul mentor is a different one to that of a spirit guide. The role of a spirit guide is also different to that of an angel. Spirit guides also incarnate, as do soul mentors and many other evolved beings. The spirit guide also has his or her own journey of Self-fulfilment and discovery, and so will periodically take on a physical form. So too will they incarnate temporarily or for a whole life term in order to interact directly with other incarnates who would benefit from such a physical presence. Many spirit guides are simply drawn to the incredible beauty and privileges of the physical condition and its potentials. They will incarnate out of pure desire to relive this wonderful transient experience, as you would if you were drawn to a particular country for a holiday. Souls develop sentimental feelings towards other humans and their native world. This often brings them together in shared lifetimes. 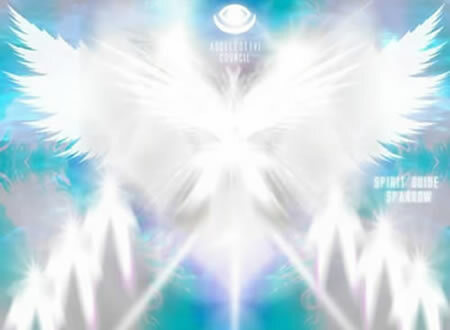 In all cases, but few, the discarnate spirit guide will have a shared background or connection with the incarnate they are overlooking. It is common for them both to be from the same soul group who study together or work together in the higher realms. Together they will discuss options and opportunities upon the platform of Earth, or other planets, and make agreements to work in a certain way. The framework for this interaction, its limits and its agreed roles will all be determined prior to incarnation. It is not always the same and is usually custom made for each individual depending on their maturity and experience. 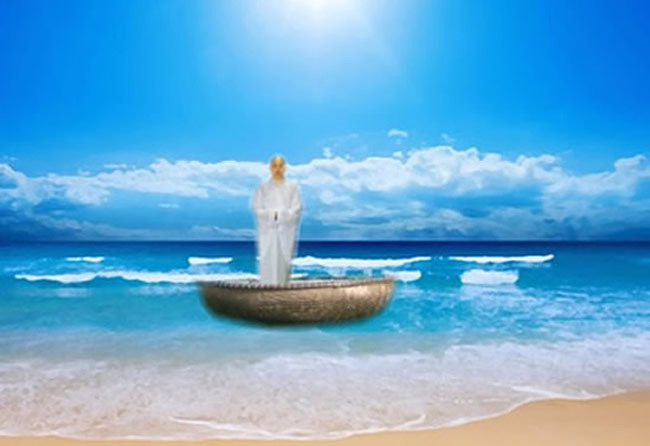 A ‘younger soul’ will be permitted to have a much more ‘hands on’ support team from the higher realms who will guide the incarnate every step of the way. Those mature souls who are more inclined to be human-veterans require much less interaction and support from guides and so such an arrangement is pre-agreed. This stepping back of spirit guides allows the mature incarnate to fully step into their sovereign potential and Self-empowerment. They become less dependent and more creative. In light of the above information the number of spirit guides an incarnate has is dependent on such matters. It is also dependant on the work they came to Earth to do. If you have chosen to undertake a particularly challenging task you will be offered a broader range of assistance from those who hold either experience or wisdom in the field of your work. For example, if you had chosen to become a great healer or artist, you would be offered guidance from those who have already walked that path. They will act as your inspiration and channel their own experience through you. Experienced spirit guides will frequently choose to work with a group of souls who they have agreed to take under their wing. These souls will incarnate, live and evolve together, supporting one another, under the guidance of the mature soul. Great lasting friendships are made in this way. Many will place themselves in roles of spouses, brothers and sisters or best friends. Sometimes the mature soul will incarnate with them depending on the objective or desire of the group. In such cases there will always be one who stays behind to act as a spiritual anchor. Spirit guides often choose to take on such roles and responsibilities because they have great compassion and sentiment for the human race. They recognise that all are part of the whole and helping one is intuitively helping themselves. They seek an outlet for their love and wisdom, a canvass for their skills. I myself have done such work because I enjoy the story. I enjoy being a part of someone else’s success story. I enjoy being there at moments of great inspiration. I am fascinated and humbled by human emotion and capacity of heart. I love to transmute and transform, and see others do it for themselves. I love the process of change and how the matrix of time plays out events. I love observing from above, and from within, the ups and downs, the mistakes and the triumphs of humans. Every time I have the privilege of witnessing these sacred moments, I am humbled and blessed with the grace and wisdom of God. To then have the privilege of imparting all that you have created for yourself, all that you have overcome and endured, all the wisdom and experience gained, to someone who looks upon you with inspired eyes... it is an honour and a joy. To make a difference is all the reason necessary to wish to become a spirit guide. I am always a spirit guide, regardless of incarnate or discarnate. This is so because the soul adopts the essence of the role wherever they go, and whatever they do. They do for the benefit and betterment of all. I am, right now, personifying the role of a discarnate spirit guide through human form to those who come to my door. I am also a living standard to those who are discarnate, as they watch and learn from my own example here. My work is multi-dimensional and benefits a vast, bigger picture. 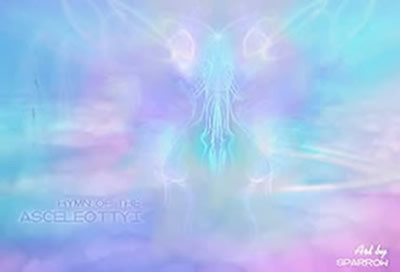 When I return to my infinite state, my translucent form, I will continue my role as a spirit guide to those souls who are due to return to physical life, who are already in physical form and those who stay behind to study and create elsewhere. I will also assist those souls who cross over. My roles and activities are many and I like flexibility. Although I am constantly on call as a spirit guide and mediator, I often go off into other realms to do other things. It is not my sole role or my only activity, by any measure. I currently have a variety of discarnate guides, though they are responsible for a broader group. I am more independent and like to indulge my own potential. 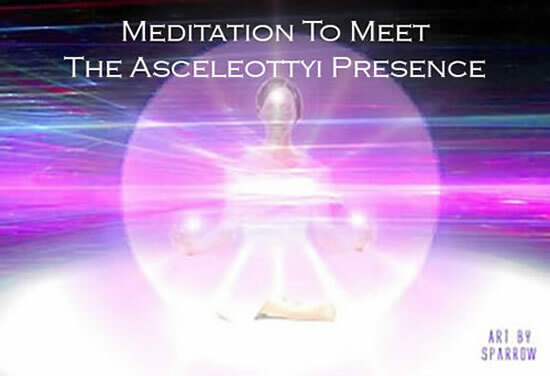 I prefer to connect directly to mentors who I like to call my companions and friends, such as Saint Germain, Sananda, Quan Yin, Kuthumi Lal Singh, Melchizedek, Metatron and Sandalphon. Raphael is also dear to my heart and I enjoy working with his energy. At the moment I am choosing to play a part and indulge myself in the unfolding events of the current human awakening. I like diving in and getting my hands dirty, at other times taking a passive observational role. My soul has vast experience as a warrior and so there is very little I do fear. I am always keen to be the first to step into dangerous territory and make the way for others, to knock down the walls of fear. I will continue to place seeds of potential in every thought, word and deed. Though I am not perfect, and there is much human conditioning to work in, I will rely on those new sparks to point out my mistakes. In the meantime I will continue to bring and highlight the importance of imagination, creativity and play. These I see as being one of humanity’s most promising potentials for development. It is unfortunate, and wounds me deeply to see so many humans take life so very seriously. They have forgotten what it is all about. They delude themselves with lessons, challenges and imaginary goals to play the worst possible games. Games that have such a detrimental effect to the heart and soul when played so seriously. I would say to those who feel I speak of them to stop pretending to be all grown up and start acting like the child you truly are.